Dentistry is the diagnosis, treatment, and prevention of conditions, disorders,	and diseases of the teeth, gums, mouth, and jaw. Often considered necessary	for complete oral health, dentistry can have an impact on the health of	your entire body. Strengthens your teeth so that you can enjoy healthy, beautiful smiles	for the rest of your life! ALWAYS remember to brush your teeth at least two times a day, and floss	at least once! Make sure to use toothpaste that contains fluoride, and ask your dentist	if you need a fluoride rinse. This will help prevent cavities. Avoid foods with a lot of sugar (sugar increases the amount of bacteria	that grows in your mouth causing more plaque and possibly cavities) and	avoid tobacco (this can stain your teeth, cause gum disease, and eventually	lead to oral cancer). Don’t be afraid to brush your tongue! By brushing your tongue, you	will remove food particles and reduce the amount of plaque-causing bacteria. Tongue brushing also helps keep your breath fresh. Be sure to schedule your routine checkup. It is recommended that you visit	the dentist every six months. The American Academy of Pediatric Dentistry (AAPD) recommends that children	first see a dentist as early as six months of age and no later than one	year of age. During this time, your child’s baby teeth will be coming	in and your dentist can examine the health of your child’s first few	teeth. After the first visit, be sure to schedule regular checkups every	six months. Children, teens, and adults should all see the dentist for a regular checkup	at least once every six months. Patients who are at a greater risk for	oral cancer or gum disease may be required to see the dentist more than	just twice a year. Your doctor will help determine how often you should	visit the dentist for regular checkups. A cavity is a small hole that forms inside the tooth because of tooth decay. Cavities are formed when plaque buildup on the outside of the tooth combines	with sugars and starches in the food you eat. This produces an acid that	can eat away the enamel on your tooth. If a cavity is left untreated,	it can lead to more serious oral health problems. Cavities can be prevented	by remembering to brush your teeth at least two times a day and floss	between teeth at least once. A filling is a synthetic material that your dentist uses to fill a cavity	after all of the tooth decay has been removed. Fillings do not generally	hurt because your dentist will numb your mouth with an anesthetic. Fillings	are made from a variety of different materials, including composites,	gold, or ceramic. If you need a filling, be sure to talk to your doctor	about what type is best for you and your teeth. According to your dentist and the American Dental Association, you should	brush your teeth at least two times a day. Brushing keeps your teeth,	gums, and mouth clean and healthy by removing bacteria-causing plaque. It is also recommended that you use a soft-bristled toothbrush and toothpaste	that contains fluoride when you brush your teeth. You should spend at	least a minute on the top teeth and a minute on the bottom teeth, and	remember to brush your tongue; it will help keep your breath smelling fresh! Your toothbrush will eventually wear out, especially if you are brushing	your teeth twice a day for two to three minutes each time. Your dentist	recommends that adults and children change their toothbrush every three	months. If you are using an electric toothbrush, be sure to read the directions	because you may not need to change toothbrush heads as frequently. Patients	with gum disease are encouraged to change their toothbrush every four	to six weeks to keep any bacteria from spreading. After brushing, rinse	your toothbrush with hot water to kill germs and keep the bristles clean. If you’ve been sick, be sure to change your toothbrush as soon as possible. Yes! 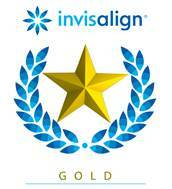 In fact, it’s even more important that patients receiving orthodontic	treatment visit their dentist regularly. With braces, food may be caught	in places that your toothbrush can’t reach. This causes bacteria to	build up and can lead to cavities, gingivitis, and gum disease. Your dentist	will work closely with your orthodontist to make sure that your teeth	stay clean and healthy while wearing braces. 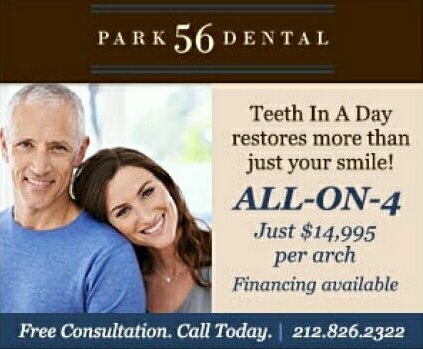 Simply call our practice! Our front desk staff will be happy to help schedule	your next dental checkup at your convenience. If you are a new patient,	please let us know and we will provide you with all the information you	need for your first dental visit.